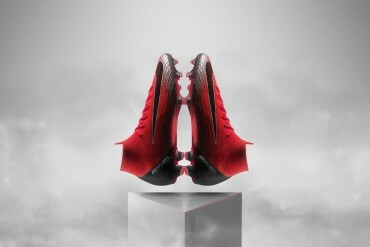 CHAMPIONS LEAGUE FINAL: CUSTOM FOOTBALL BOOTS! 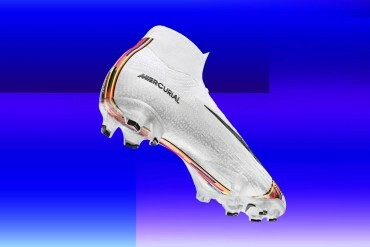 CHAMPIONS LEAGUE FINAL: CUSTOM BOOTS! The Champions League final is the ultimate sponsor showcase. 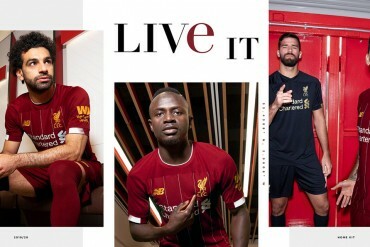 Likely the most widely watched club game of the year, it’s the perfect time for the big brands to put their latest and greatest products in the spotlight. 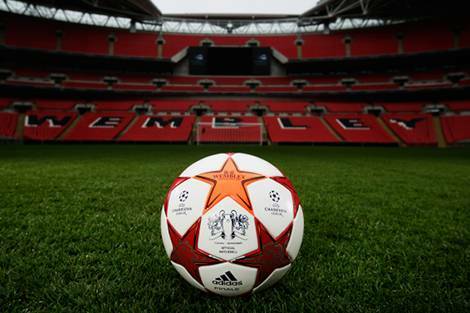 adidas and Nike are the two main brands looking to dominate Wembley tonight; whilst adidas are the official technical supplier to the Champions League (meaning they supply the match ball – the adidas Finale London – and are allowed to advertise pitchside.) Nike are technical suppliers to both Barcelona and Manchester United, and both teams will be wearing their logo on their shirts. Even the football boots are evenly matched! It seems for every great Nike player, there’s an equally awesome adidas to even things out! Messi; Rooney, Xavi; Iniesta, Alves; Evra, it’s crazy! 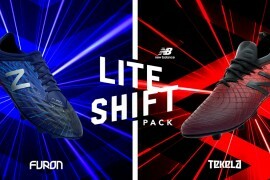 Well, both companies have been in touch with Footy-Boots.com today, keen to show off the custom football boots they’ve created for the occasion. 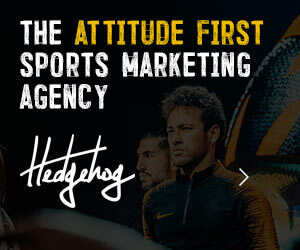 We’ve already got an in-depth look at all the customisation Leo Messi has going on with his adiZeros, so head over there if you want a better look! To whet your appetite, though, take special note of the graphic printed on the left heel counter, the custom heel tab and the Argentine flags – sweet! 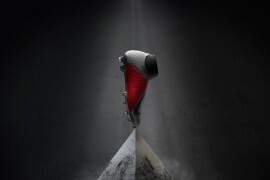 Wayne Rooney’s, by comaprison are far more understated! 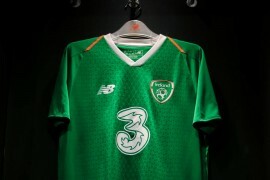 The colour scheme is borederline ‘classic’ – unusual for a Nike Laser – opting for the T90 Laser III in White/Black/Chlorine Blue, and his customisation is restricted to the commemorative date embroidery, initials and number. Also worth noting are the custom SG studs on the Elite Carbon Fibre soleplate. Rooney classically avoids the Elite soleplate for his football boots, but the occasion seems to have him wanting every advantage he can get! 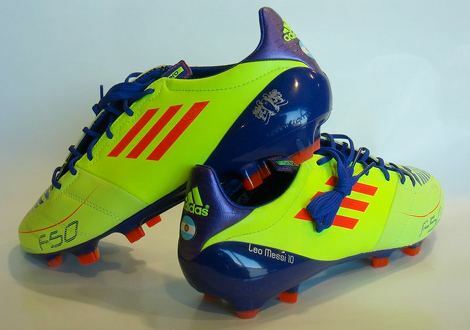 Giving a debut to the Anodized Purple/Infrared/Electricity adiZeros is Barcelona’s David Villa! 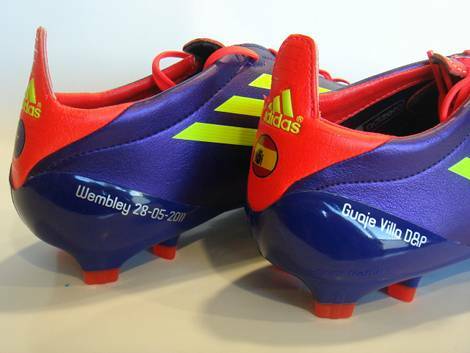 Fans of David Villa already know what the Spainish striker will have on his boots; with ˜D&P Villa™ personalisation is a reference to his and his wife Patricia™s initials, ‘Guaje’ is a nod to his nickname (‘The Kid’ in Asturian) and the Spanish flag to show his proud nationality. Andres Iniesta will be looking to make it two memorable finals in a row (forget the Copa del Rey ever happened, okay?) as he takes his trusty CTR360’s across the white line with another trophy waiting on the other side of it. As well as the Nike-Standard Team names and Date, Iniesta has also added his newborn daughter’s name on the side of the left boot, along with the mysterious acronym PMMAA. 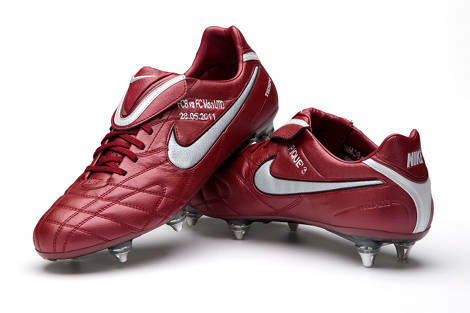 Despite celebrating their second birthday next week, the Tiempo Legend III are still performing at literally THE highest level in football, with no less than 3 players set to start the match in Nike’s iconic boots. 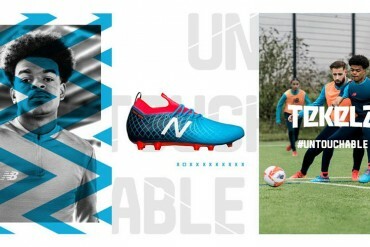 Gerard Pique has been stoic at the back for Barcelona through the campaign his boot customisation reflects that understated, cool manner as he opts for a classic name and number stitching, as well as the teams and date. 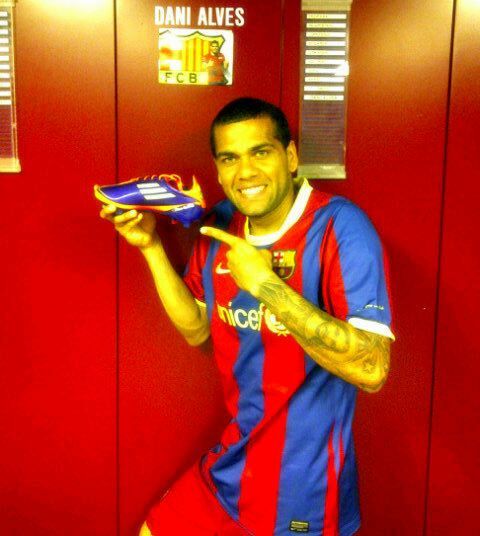 One of the few Barcelona players to go for the adiZero Prime over the ‘standard’ versions, Dani Alves will be hoping to cause all manner of trouble down the flanks against Manchester United. 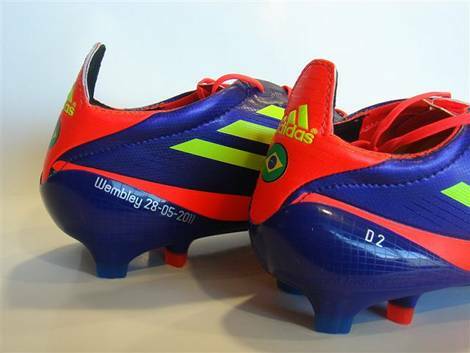 As well as the date of the final, Alves also has the Brazilian flag on the heel an ‘D2’ – a loving homage to his favourite ‘Star Wars’ robot (not really) on the left heel counter. 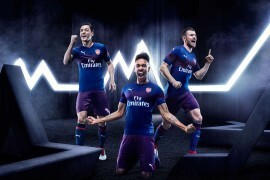 As Barcelona are the home team on the occasion – despite Manchester United only being a few hours up the road – only they will be christening the new Home Kit. 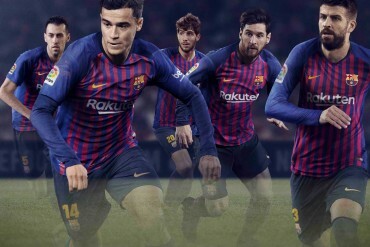 The New Barcelona Home Kit 2011-12 has caused a stir since it’s launch, however we’d guess that it’s reception would be much warmer if they won the Champions League in it! 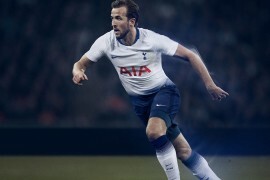 As mentioned earlier, adidas will be supplying the match ball for the occasion – the adidas Finale Wembley – which features a unique star-shaped panel design and has been designed to reflect the host city of London and the new Wembley stadium. Who do you think will come out on top at Wembley? Barcelona or Manchester United? Nike or adidas? Don’t forget you could win one of the match balls used in the final tomorrow – click here for more info! Who has the most boots on players though? 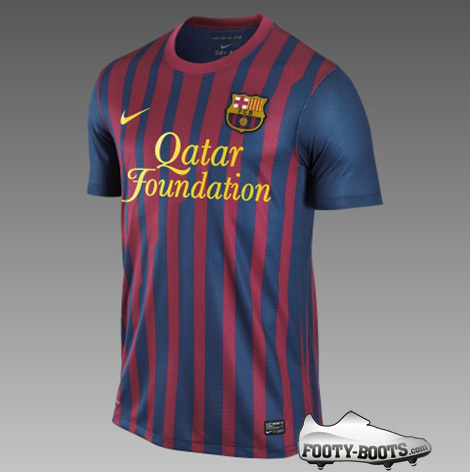 Barcelona won’t play in the new shirts! The UEFA does not allow that. 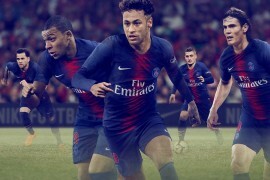 Â They have to play in the same shirts they played in during the whole season. no changes in uniform during the season in UEFA competitions. Teacherjoachim, if that is true, then why did Bayern Munich wear the new kit in the Champions league final last season? Please re-check your facts before you post! 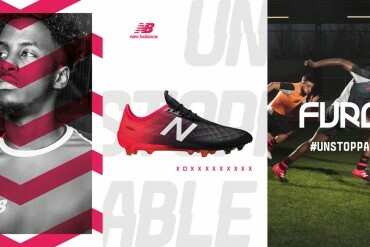 On the subject of boots, it will be interesting to see the likes of Nani and Xavi in the AdiPower, two very different styles of player in the same boots! 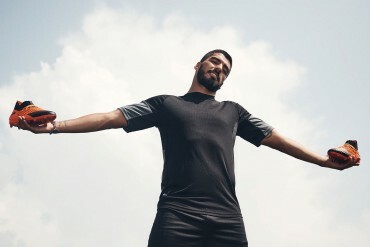 @fuzzy: So, what shirts did Barcelona play with? are amazing! Thanks a lot!